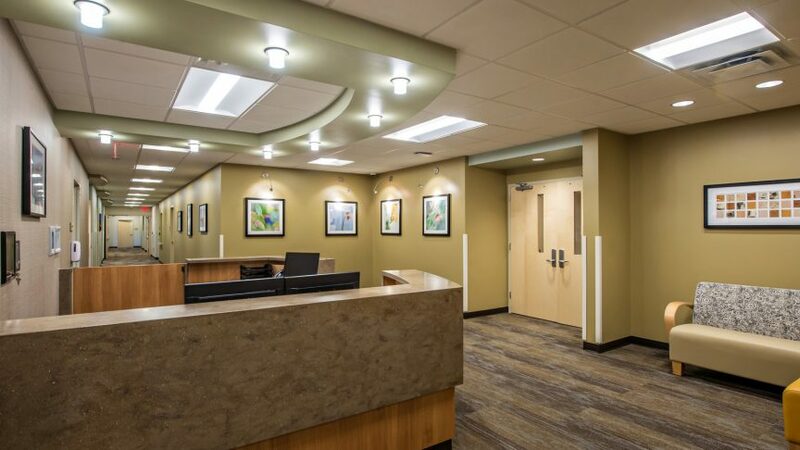 This 24-bed inpatient psychiatric hospital provides medical and support services for adults and adolescents with eating disorders. 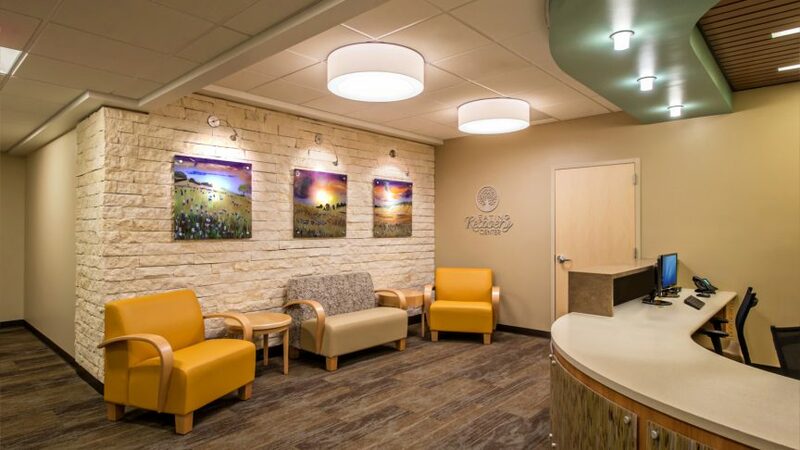 The warm and inviting aesthetic is distinctly different from typical psychiatric hospitals and incorporates locally-themed finishes, such as a feature wall in the lobby made of Texas limestone with colorful paintings of local wildflowers. 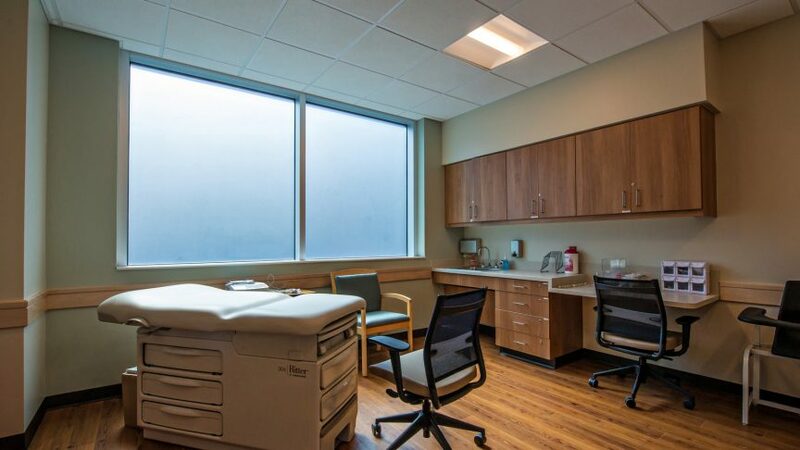 The 22,700 s.f. 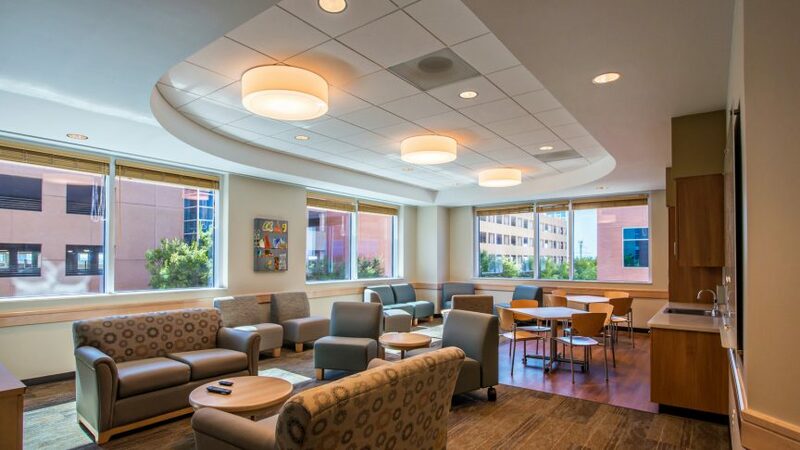 facility, constructed within an occupied medical office building, is part of an ongoing effort by the Eating Recovery Center to provide a higher level of care for eating disorder patients in Texas, augmenting Partial Hospitalization Programs (PHP) and Intensive Outpatient Programs (IOP) throughout the state.